UPI is reporting there will be no cuts to the Coast Guard budget. Now the Coast Guard has to be convinced it is a military service. Time to get the sand peeps and regulators to sea. …in the future Coast Guard, Coasties won’t have to go to sea – we’ll just sit at our desks; remotely controlling our cutter. Then we’ll send in the MSRT (delivered by a remote control aircraft) to act as boarding officers to conduct the actual at sea boarding. We’ll even be able to remotely fire our weapons; assuming that the GM’s properly preloaded them prior to leaving the pier. If we have a misfire, we’ll just deliver the GM via a remote control helo to clear the jam. ..will we still get to wear the Cuttermans pin while sitting behind our desk, driving our remote control cutter! Bill, that’s a nice thought, but the CG stopped being a professional seagoing service decades ago. No disrespect intended to those that still earn and proudly wear the Cutterman insignia, but sailors are an afterthought and a novelty in today’s Coast Guard. Donut sucking sand crabs are taking over the service, slowly but surely. Too many coasties, too few billets. I disagree. Too many regulatory billets, not enough operational billets. A seagoing service ought to require most, if not all, of its members to go to sea. What I was saying was that there are too few sea going billets. Attempting to put all the sand peeps on ships would dilute the sea going experience we have now in those officers who do go to sea. You simply cannot put everyone at sea with this many people and so few ships. You would have to rotate them through so fast we would never have anyone who really knew what they were doing. That said the operators should be firmly in charge overall, and that does seem to have been the case at least recently. When we count ships in the fleet, it should include CG ships. The fastest way for the administration to get to 350 ships is to start counting CG ships and arm them appropriately. Did a member of the administration trip over a cutter’s moorings to discover that the Coast Guard is an Armed Force? I think the quote about it being “pre-decisional” and “administration testing the waters” telling. Sounds like the cuts were in the first drafts and used the outside reaction to leaks to decide if to move forward. It worries me that decisions this critical are being make based on “number of likes”… But it worked this time. 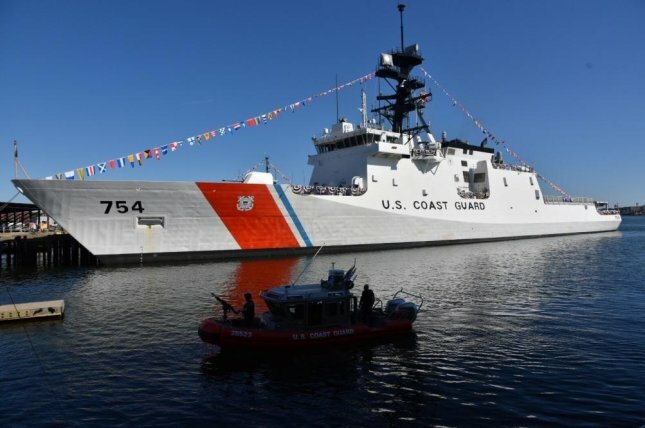 I will try to be optimistic and assume the arguments presented regarding the Coast Guard Missions carried some weight in addition to the number of outraged voices. The cuts were very real, but there was a good amount of backlash against them. The CG leadership did pretty well presenting their case, and the nature of this “budget proposal” led to the Admin taking out the cuts. Unlike the other services, however, there was no talk of an increase…. Detroit News is reporting that funding for the second Great Lakes Icebreaker approved in the 2015 authorization has been frozen. It is not unusual for a new administration to look at adjusting funding allocations. But after the top line cut chaos this doesn’t look good… At a minimum after this and the Great Lakes Restoration cuts the Soo Locks upgrade likely is a long shot for infrastructure funding. Lots of things are authorized, but never funded. Until something is in the appropriation, it is not a done deal. Interesting. I was not aware that there was an authorization for a second icebreaker for the Great Lakes. It is in Title one of the 2016 authorization for a combo ice breaker ATON vessel. As far as I know, it has never been funded in a appropriation bill. Understood… A great many things get authorized, but no funding ever appears and after a few years disappear. Honestly I think this, like the unfunded priorities lists, are an indication of a healthy dialogue. This was the first time I had heard that a sister to the Mack was buried in the authorization, hiding behind the polar icebreaker project. The News article made is seemed like the administration had put on hold active discussions with Marinette. Making it seem like a design study was in appropriations somewhere… Although its not clear that was the case. Buried somewhere is the appropriation for the heavy icebreaker design study (for which contracts have been awarded). Not sure if it was in a CG appropriation, a Navy appropriation or some oddball place. Consistence is not a virtue of our congress critters.